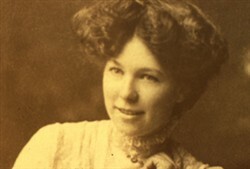 This collection features transcripts of the personal diary of Miss Nellie Smith (later Abbey) together with lively photographs of the many entertainments she directed in costume, programmes of the entertainments and an audio interview with transcriptions, recorded in her retirement years. They tell us about the everyday as well as unusual and moving events in her young – sometimes carefree – life in the Wolverton and New Bradwell area. Her energy, organisation and a director’s eye were key to a number of major charity and patriotic events in New Bradwell during the War. She provides a fine example of how young women contributed to the war effort in any way they could. 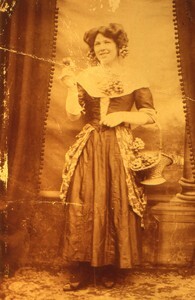 Three black and white photographs of people in fancy dress at various fetes. Transcripts of Diary Entries by Nellie Smith 1901 – 1920. 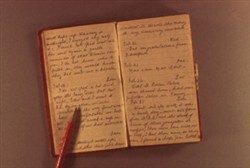 Some of the diaries/transcripts also include poems and quotations; in some cases the authors of these are stated. 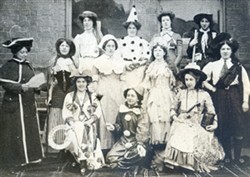 Group: Three black and white photographs of people in fancy dress at various fetes.